Summer is all about lakehouses, girlfriends, and delicious food. 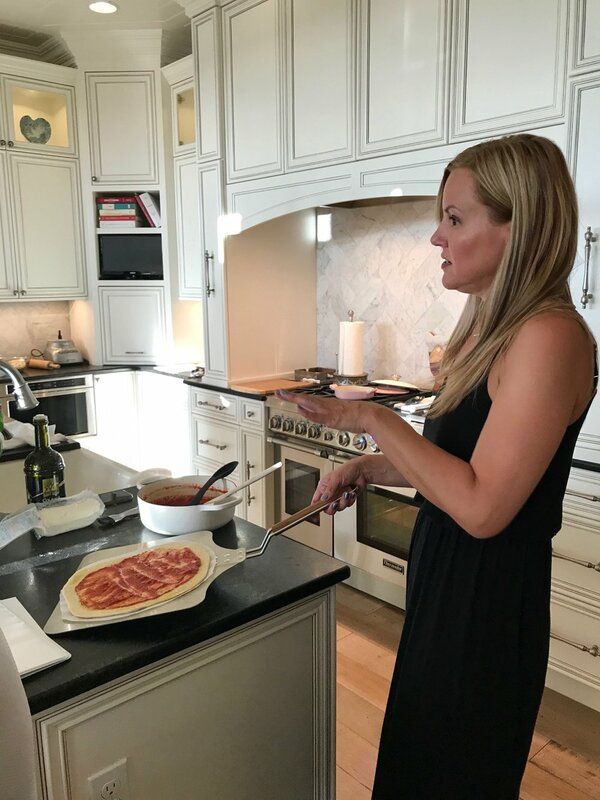 Last June, I created this "Pizza Party" menu to show my students how simple it was to make fresh pizza from scratch. Fast forward one year -- I was thrilled to bring this menu back to celebrate with a bachelorette party! Toasted Parmesan Zucchini, Homemade Pizza Dough, Paula's Pizza Sauce, White Sauce, Pizza Margherita, Prosciutto & Arugula White Pizza, and Cannoli Pizza make for a yummy evening. My red pizza sauce was the base of the evening so that was the first recipe! I briefly talked about my favorite style and brands of canned tomatoes. 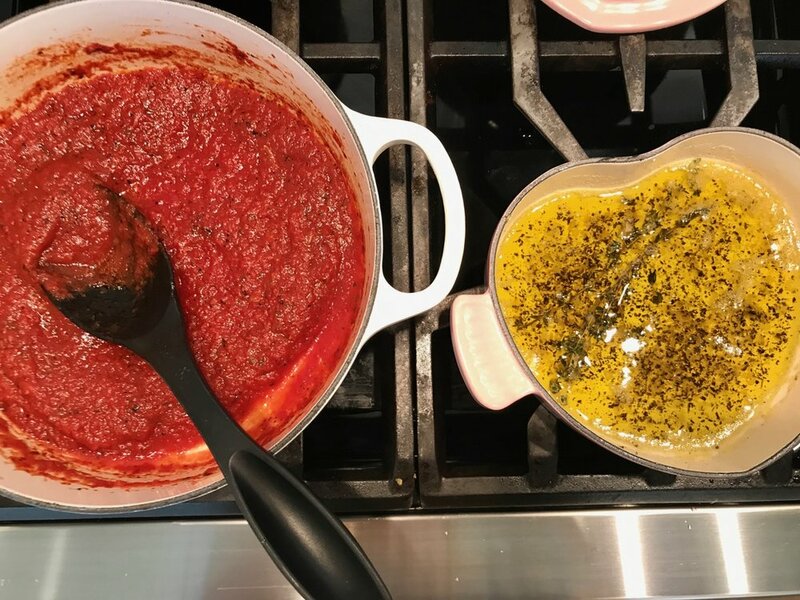 There is no reason to buy pizza sauce in a jar -- my recipe is just too tasty and easy! Zucchini is a great summer vegetable. Add some olive oil, a blend of fresh bread crumbs with seasonings, and parmesan cheese. Bake at a high heat and serve with warm pizza sauce for a guilt-free appetizer. Feeling adventurous? Substitute eggplant for the zucchini. We had to have our priorities in order...so naturally we started dessert. First, save yourself a step and thaw a refrigerated pie crust. Roll, prick, and bake! My cannoli filling recipe was inspired by my days working in an authentic Italian restaurant in San Diego. 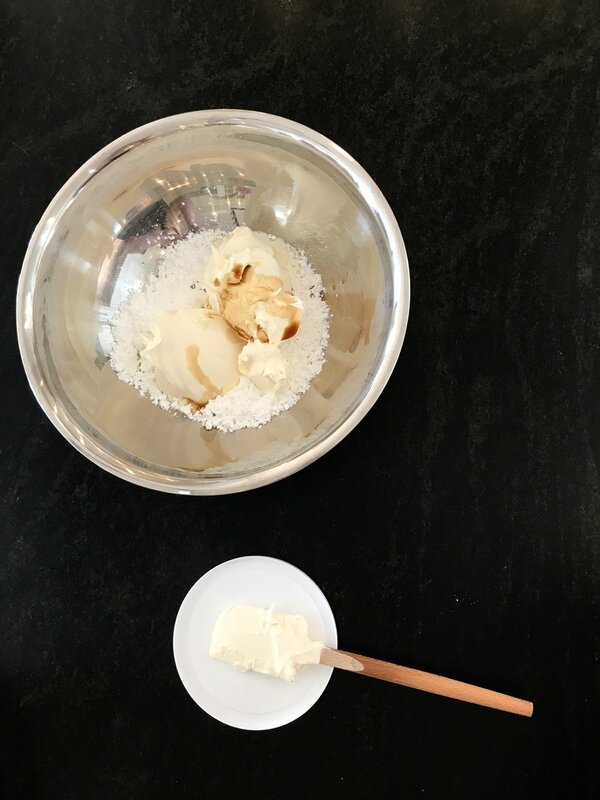 Simple ingredients combine for a fluffy, sweet topping. Plus -- a little later we added (wait for it) ... Nutella! Miniature chocolate chips are also a must! 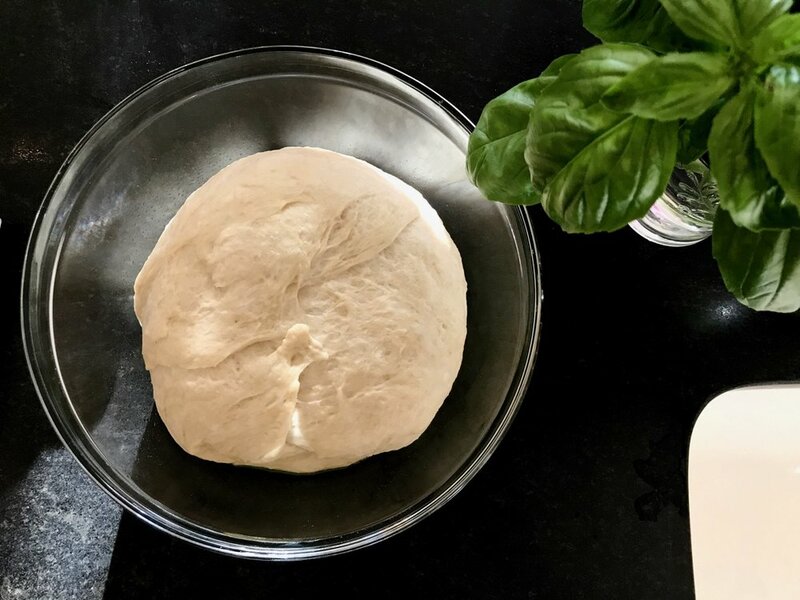 My favorite trick is homemade pizza dough...in a food processor! You guys, it doesn't get any easier than this! I started one batch so my students could see how it rises. The Margherita Pizza comes together in a snap: red pizza sauce, fresh mozzarella, and chiffonade basil. Pizza number two? 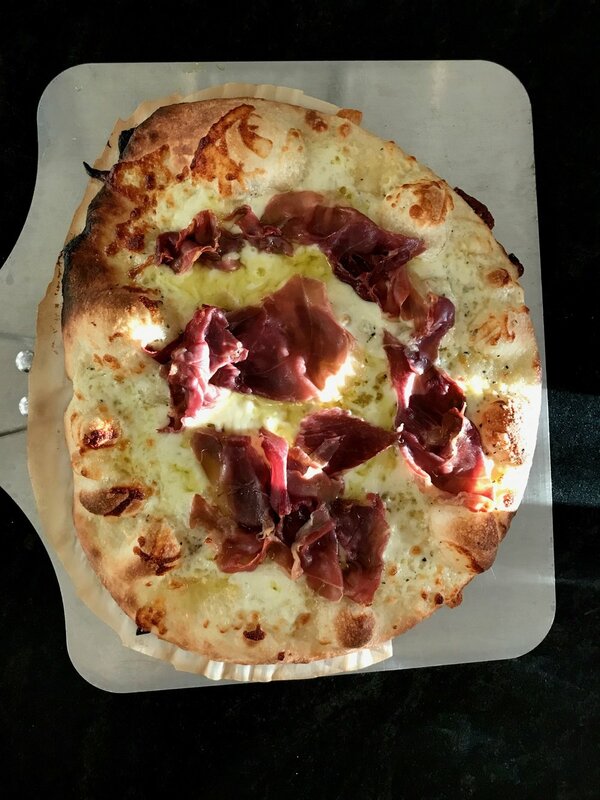 A divine Prosciutto and Arugula Pizza with a homemade vinaigrette, blend of cheeses, prosciutto...paired with my pizza dough.